Biomagnetism is a scientifically sound alternative treatment that may help restore and maintain physical and mental health. On 1988 Dr. Isaac Goiz Duran MD, Medical Surgeon, discovered the Biomagnetic Pair BMP. This vibrational therapy screens the body for pH unbalance that could cause a dysfunction on the person and restores health by balancing the acidity and alkaline levels of the body when applying magnets of medium intensity to those specific areas. He discovered that viruses and fungus have a symbiotic relationship with each other as well as bacteria do with parasites. Also bacteria and viruses resonate with each other causing illness, being one of them pathogen and the other non pathogen depending of the specific illness. It is possible to recover health through biomagnetic fields of medium intensity, produced by natural magnets of 1,000 to 15,000 power of attraction (Gauss), applied in pairs to specific parts of the body, a Biomagnetic Pair BMP. Positive polarity magnet in the positive area and negative on the negative area. This neutralizes the pH of the area by pushing the charges to each other thus neutralizing it and pathogens immediately die since they can not survive in a neutral pH environment. Cells become healthy and the body starts healing itself, surprisingly fast. Because of this discovery the Oxford International University from England gave Dr. Isaac Goiz Duran MD, the Doctorate of Philosophy in Bio-energetic Medicine in 1999. Up to present and with 23 years of practicing Biomagnetism, Dr. Isaac Goiz Duran MD, has identified over 350 pairs that cover most of the glandular dysfunctions, diseases, syndromes and illnesses such as diabetes, cancer and HIV. In general, common diseases are produced by a single Biomagnetic Pair (BMP). Complex diseases are the result of association of two or more BMPs. 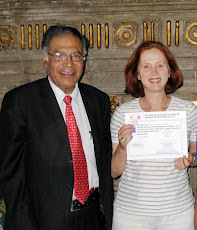 Dr. Isaac Goiz Duran MD, has very successfully treated more than 500,000 patients with Biomagnetism and has trained more than 20,000 Medical Doctors and other Health Therapists from many different countries. The admirable simplicity of this system allows working with powerful but inoffensive magnets of different forms from which amazing results are obtained. * Biomagnetism is a therapeutic procedure. 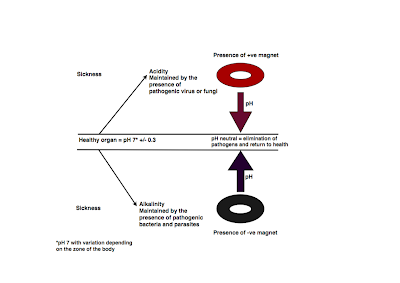 * The positive biomagnetic pole is formed by the presence of hydrogen ions, H+, and/ or pathogenic viruses. * The negative biomagnetic pole is formed by the presence of free radicals and/ or pathogenic bacteria. 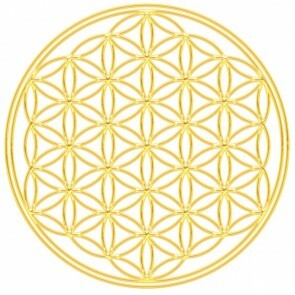 * The biomagnetic poles are in vibrational and energetic resonance. * The biomagnetic poles are depolarized by magnetic induction of fields greater than 1,000 gauss. * The biomagnetic depolarization is due to the law of all or nothing. * The biomagnetic depolarization obeys the universal law of charges. * Biomagnetic induction is instantaneous but the charge is exhausted in seconds. * The ideal magnetic field for induction are in the order of 5,000 to 10,000 gauss. 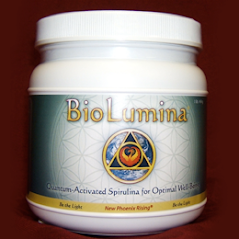 * When the Biomagnetic poles are impacted, the pathogenic viruses loose their genetic information and the bacteria, their favorable alkaline medium for their metabolism and reproduction. * Theoretically, only one impact is required to eradicate a BMP and it does not reactivate again. * The biomagnetic poles with positive polarity are asymptomatic. They cannot be detected by any other conventional system of diagnosis nor do they yield in their correction to any other therapeutic or drug method. * The negative biomagnetic poles are symptomatic and yield in their treatment to drugs or other medical procedures. * The normal energetic level (NEL) cannot generate pathogenic microorganisms, but they can be manifested by themselves and by their metabolites. When ever biomagnetic focuses are being approached, the pathogens are more severe and the limit is the cellular structures. * Natural magnets of medium intensity are not toxic nor can they produce iatrogeny, specially when they are applied in a dual manner. * Natural magnets of medium intensity do not alter the cellular or tissue entropy. They only put it in order. * The hydrogen bridge cannot be broken by magnetism but it can by electricity, heat and extreme atomic radiation. * The regular BMP's identify pathogenic microorganisms wheter they are viruses, bacteria, fungi or parasites. * The special BMP's identify tissue alterations not supported by pathogenic microorganisms. * The dysfunctional BMP's identify internal alterations and their hormonal production. * The reservoir BMP's identify organs or tissues which support virus, bacterias and other microorganisms potentially and for an indefinite time as far as not being installed in it's specific pair. * In the north hemisfere of the earth, the negative poles of the BMP's tend to establish themselves in the right half of the body. The opposite happens in the southern hemisphere. * Common diseases are produced by a single BMP. The complex diseases are the result of an association of various pairs. All cells are natural viruses reservoirs which are identified genetically by their DNA; which can be there in a latent mode and be activated whenever a specific and non pathogenic bacteria fabricates the mucoprotein or capside that complements the final structure of the virus and by being neutralized energectically can become excited and penetrate in other similar cells for their reproduction and for clinical and / or pathogenic manifestation. In the same way, parasites are natural reservoirs for bacterias, since they feed on them and can sow them for new reproduction. To begin the full body scanning, the person lays on a massage table, non metallic, on his/her back with the feet hanging at the end of the table. It's also recommended to wear comfortable but tight clothes, preferably of natural sources, like linen, cotton etc.. The person being treated should be relaxed and comfortable. The diagnose is done through a specific type of Kinesiology (muscle-test) tool that in this case may also be known as Bioenergetic scan. Biomagnetic Pair Therapy, differs from many other forms of Therapies, in which it goes to the source of the problem, the etiology, without the need of laboratory testing and similar studies. The basic mistake of many other Therapies is to rely strictly on symptoms. Most conditions improve after only one session, it usually requires between 1-3 sessions, in some cases 3 - 5 sessions will be needed while some people may need more. The whole body, all organs, glands, mayor bones and muscles are scanned for unbalances of the pH and magnets of either + or - polarity will be placed in the unbalanced areas in order to regained a balanced / neutral pH. Fee: $185 if paid in cash - $200 if paid by credit card or check. A session lasts 90-120 minutes. There is no side effects or contraindications, it can be combine with any other treatment, allopathic or alternative, except when under Chemotherapy and/ or Radiation Therapy, which in some cases, a year should pass since the last Chemotherapy or Radiation Therapy. 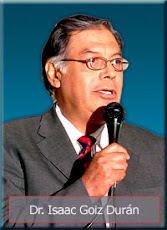 Dr. Isaac Goiz Duran MD. She is not a Medical Doctor, she does not make a medical diagnosis nor provides medical advice or care, you should see a Medical Doctor for follow-up care, and you should view BioMagnetism Therapy as additional care/therapy to the medical care provided by a Medical Doctor. Biomagnetism Therapy is never a substitute for a Physician consultation, evaluation, or treatment.